Some travelers like all-action adventure holidays, while others prefer to switch off and experience solitude and silence. Some like to sample the hottest clubs and rub shoulders with the city’s most beautiful people, some want to experience stunning natural wonders and others seek rejuvenating, recharging, wellness-focused experiences that erase stress and allow them to refocus for the challenge of a new year. A Holistic Holiday offers as many or as few options for relaxing in the way you choose – and Cape Town is the ideal city to experience your holiday, your way, with the stunning architectural gem that is 26 SUNSET VILLA as your base. 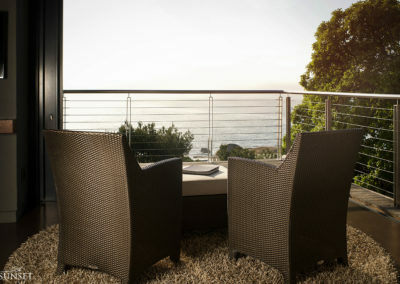 International guests can luxuriate in the breathless beauty of the Atlantic Seaboard on the edge of the Table Mountain National Park, just a few minutes’ drive from all that Cape Town has to offer – but a million miles away from the bustle, if they wish, at 26 SUNSET VILLA. A minimum 3-night exclusive-use stay throws open all access to all the Cape’s famed possibilities, while also offering a space for a respite as the salty sea air wafts upwards on the Atlantic breeze, to inspire calm. Below Image: 26 Sunset Villa’s beautiful location offers guest tranquility. 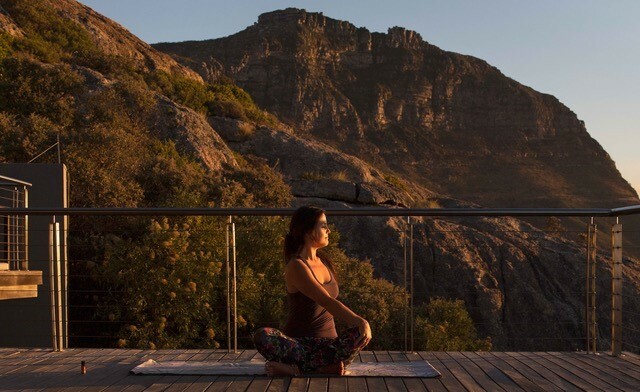 While the team at 26 SUNSET VILLA are always on hand to recommend experiences across the Cape, their speciality is helping visitors craft transformational experiences to add their own Holistic Holiday, from a selection of yoga classes, conscious cuisine types, a variety of meditation sessions and sustainable wellness coaching. Sunset and sunrise yoga sessions – at the perfect intensity – with 180 degree views of the Atlantic as a backdrop; conscious dining; massage, wellness workshops and meditation journeys are fully customizable into the exclusive-use schedule – with plenty of relaxing ‘down time’ incorporated as well, to maximise the effects of the training and practice. 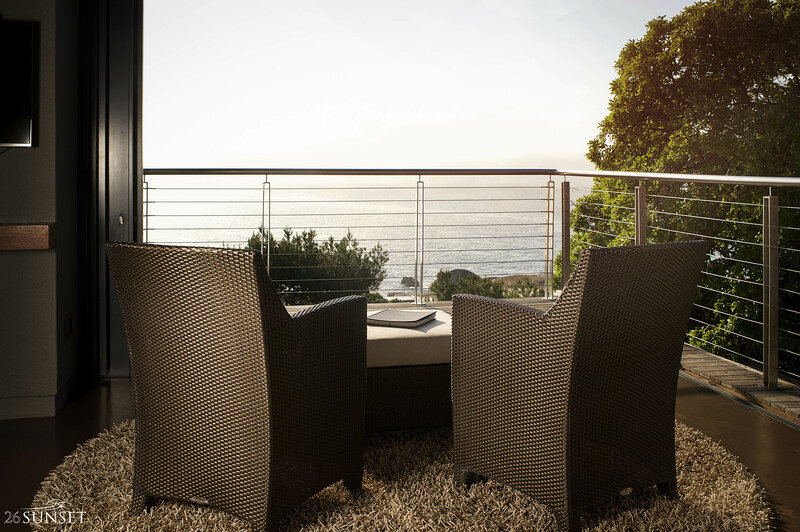 Situated just 20 minutes from the heart of Cape Town’s bustling food, wine and party scene and 45 minutes from Cape Town International Airport, 26 SUNSET VILLA is situated in the pristine suburb of Llandudno on the world-famous Atlantic Seaboard. With an expert, discrete team well-versed in pampering guests beyond global 5-star standards, 26 SUNSET VILLA is the ideal starting point for the perfect Holistic Holiday journey, where balance, wellness, luxury, gastronomy and innovation exist harmoniously to provide visitors with the ultimate vacation experience. Voted ‘The World’s Greatest City’ for the sixth year in a row in The Telegraph’s Travel Awards, Cape Town is home to the continent’s best restaurants, some of the world’s most staggeringly-beautiful scenery & natural experiences and boasts a cosmopolitan energy that’s unmatched, anywhere in the world. Visitors flock to the city from around the world to taste the Western Cape’s great New World wines, ride the Cable Car up the iconic Table Mountain, revel in the natural beauty of Kirstenbosch Botanical Garden or the myriad hiking and cycling trails across the peninsula, meet penguins at Boulders Beach and experience a thousand other thrills. The transformational elements at 26 SUNSET VILLA are facilitated by wellness whizzes HelloHappiest.com, with a focus on centering and reviving tired minds, bodies and spirits. 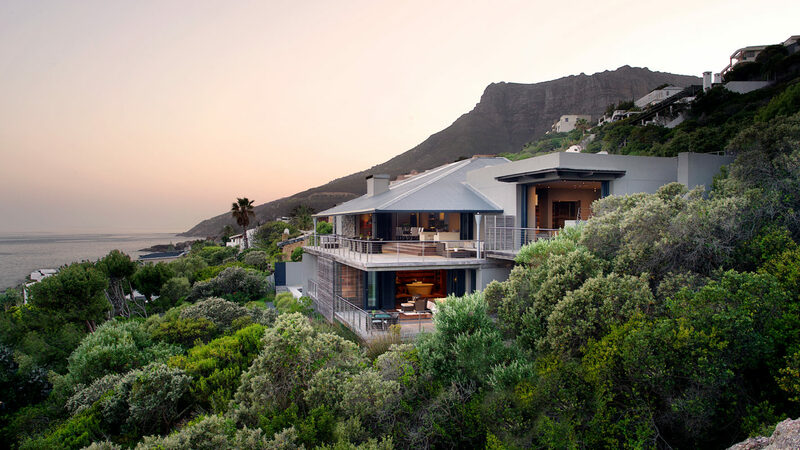 26 SUNSET VILLA is an architectural gem that blends into the backdrop of the Twelve Apostles complete with natural elements of stone and wood. With a deck showcasing 180-degree views of the ocean, chic interiors and high-tech features, 26 SUNSET VILLA delivers secluded tranquility and ample opportunities to relax, revive & reboot. Below Images: Balance, wellness, luxury, gastronomy and innovation exist harmoniously.